Summer is here, and it is HOT here in Ottawa! Whenever I step outside, I make sure that I'm covered head to toe in sunscreen. One of my recent favourite formulas has been Life Brand's Sunthera3 SPF 50 Sheer Lotion*, which you can find at Shoppers Drug Mart. Life Brand's Sunthera3 SPF 50 Sheer Lotion comes packaged in a sleek yellow plastic tube. The bottle is small enough (contains 88 mL) to easily throw in your beach bag, purse, etc. I know that some people might be fearful of using a high SPF (why is that? ), but even though this is SPF 50, the formula absorbs quickly and doesn't feel thick or greasy. I like using a high SPF because I'd rather have my skin be protected, and then self tan later on. This formula is very thick, but it's surprisingly not greasy at all. If you love that traditional sunscreen scent, then you're going to love this product. Seriously, I could just sniff this tube all day - smells like Summer! This formula offers broad spectrum UVA/UVB protection, and it's water/sweat resistant. Additionally, the formula is oil free and hypoallergenic. What's not to love there? 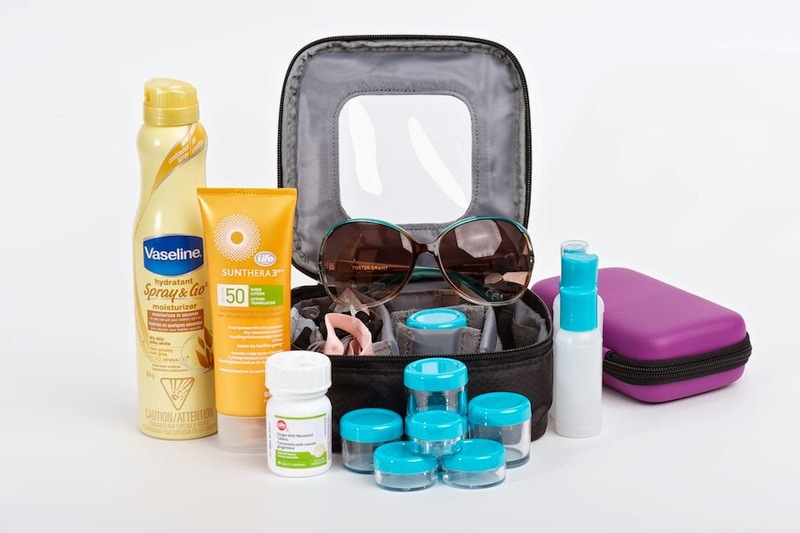 Life Brand's Sunthera3 SPF 50 Sheer Lotion was included in my Shoppers Drug Mart Summer Road Trip Kit Giveaway, which you still have time to enter! If you want to win this amazing sunscreen, along with the other prizes in the photo below, enter on the Rafflecopter form! Open to Canadian readers only. Good luck!